Bronstein Mem Open. Minsk 2014.2.15 Position after 32 moves of play. White has played very creatively (like Bronstein in his youth!) and aggressively sacrificing an exchange. The Black King is without pawn shelter, for the moment covered only by a Rook; but more reinforcements are on their way…Jobava must take immediate action! 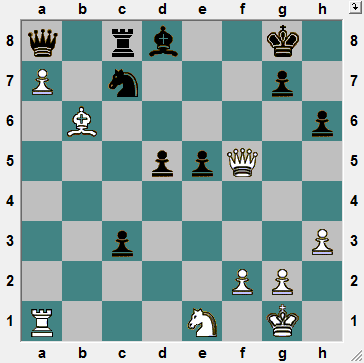 4NCL 2014.2.15 Position after 16 moves of play. Black has played badly the opening and now his Kingside is threatened with being over run. White must proceed accurately, as rushing things with 17. Qh3? !, then 17…RxN! 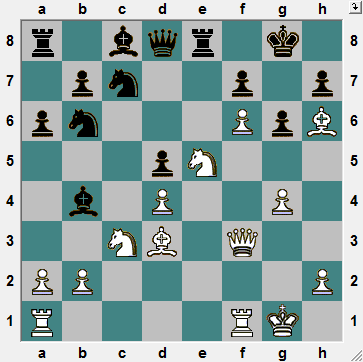 followed by 18…Ne6 allows Black to put up stiff resistance. HOW DOES WHITE WIN QUICKLY? Bronstein Mem Open Minsk 2014.2.14 Tiviakov, Sergei–Ehlvest, Jaan: 35.Qxc8!! Qxc8 36.Bxc7 Qa8 37.Bxd8 With three pieces for the Queen and the Black Pawns blocked, Black can only sit and wait. 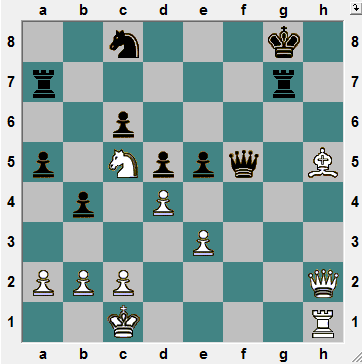 37… d4 38.Bc7 1-0 As Fischer would have described it, ‘’The rest is mopping up’’ Black threw in the towel. 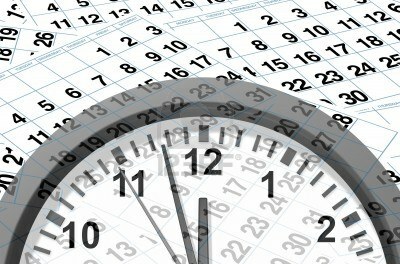 READ Barcelona 5-second chess tactics! Previous story Today’s winning INSIGHT!